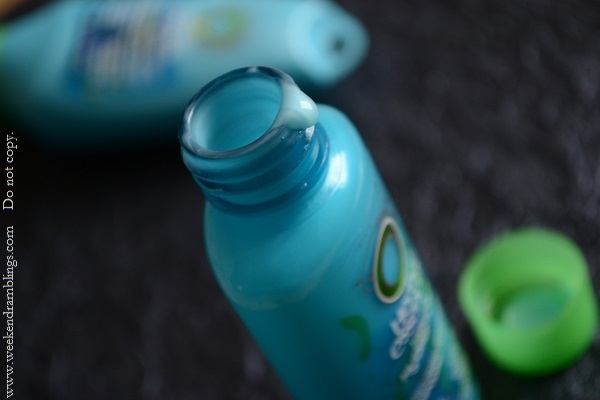 We won’t let dry hair drain your style. Our moisture rich formula, with a fusion of Hawaiian coconut and orchid, leaves your hair soft, smooth and moisturized. so don’t discriminate against dry hair. 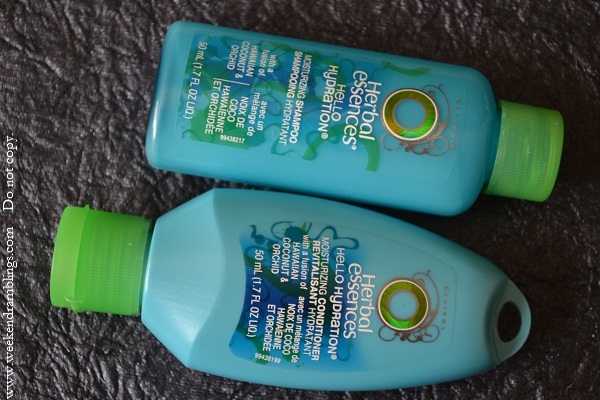 Being blessed with dry, frizz-prone hair, the promise of soft and smooth hair is just too tempting to ignore, and when I saw these trial sizes of Herbal Essences Hello Hydration shampoo and conditioner at Target, I picked them up in a jiffy. I have shoulder-length hair, and the quantity in these bottles lasts me a few good washes - enough to do a review of these. 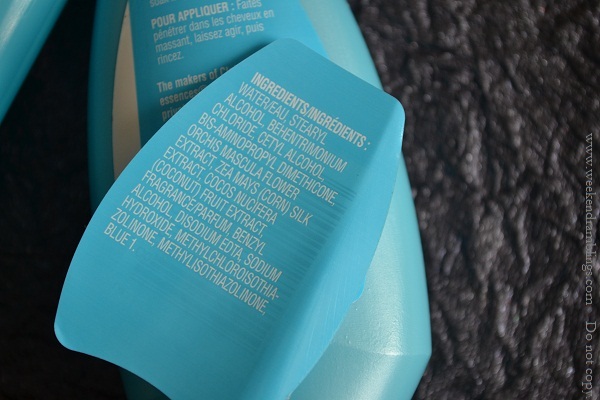 This blue-coloured shampoo with a sweet, coconutty smell is quite gentle but still does a good enough job of leaving my hair clean and soft. It washes off really easily and surprisingly does not leave my scalp feeling dry either (which is a major problem that I have with most silicone-containing shampoos). 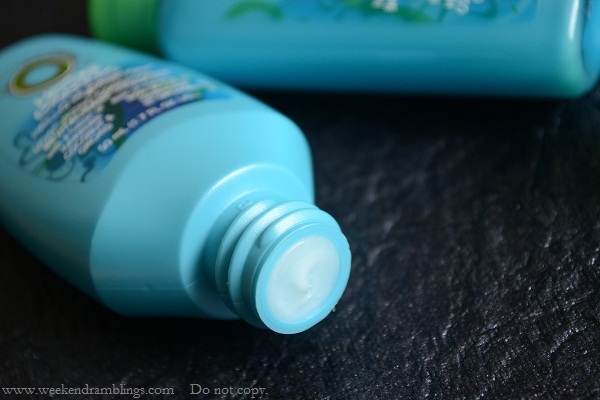 It doesn't give the slippery feeling to my hair, and for the same reason, doesn't leave it tangle-free either, but I always follow this with a conditioner so it really is not an issue for me. 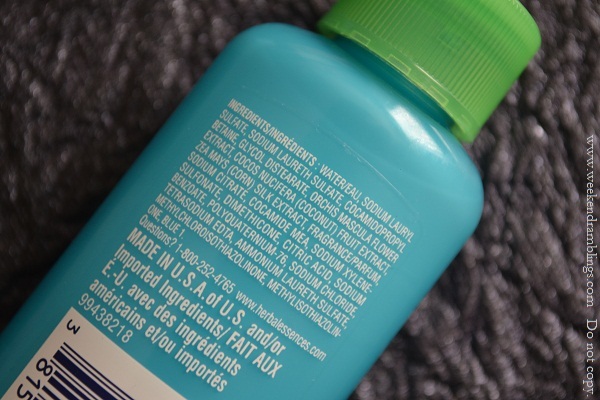 The pale blue, thick and creamy conditioner smells just as coconutty and sweet as the shampoo. I apply a generous amount concentrating on the ends of my hair and leave it on for about 3 minutes. It washes of fairly easily, and I don't notice any obvious residue on my hair after I wash it off. 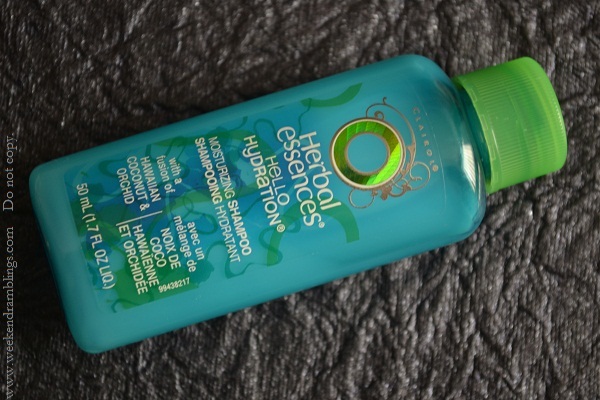 My hair definitely feels softer and tangle-free without the slippery feeling which I hate. Thankfully, I haven't had any itchy scalp reactions to this product either. The cost is 150 INR around here for 100 ml, I think..my room mate uses this though she doesnt like it much . I want to try their shampoos too,they look so nice and appealing ! Oh thanks, Ritika. This chotu size one was a dollar something..but I forgot :D It's too mild for oily hair, though...like if you oil your hair you need to shampoo at least twice generously to get all the oil out. 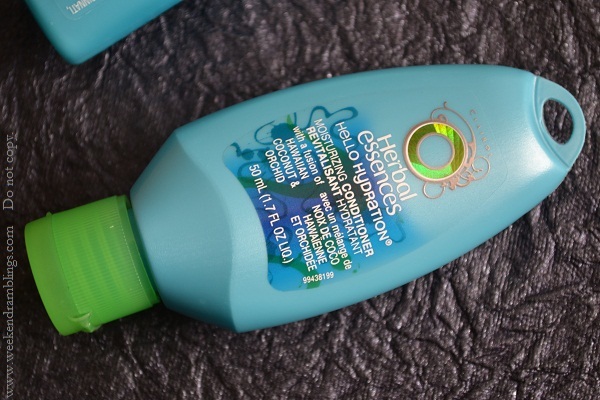 if its one brand i believe in for my frizzy hair -and avail here in India - its Herbal Essences. been their fan for ages. Hello Hydration is easily my fav too. Its 148Rs for a 300ml bottle each of shampoo and conditioner. oh so lovely smell! Aarthi - You don't have dry hair, though, do you? I have these in the color protect pink bottles.... they smell so nice! I think i have used HE products may be only once during my college days. the packging is quite different na form what we get in india. I like these hanging bottles. saves space.. I hv used Herbal Essences shampoo & conditioner during my college days & all my friends used to love my hair. they make my hair really silky, soft, smooth & shiny. I love this shampoo.